This pack will extend SMD rework job and backup. The package include:1. 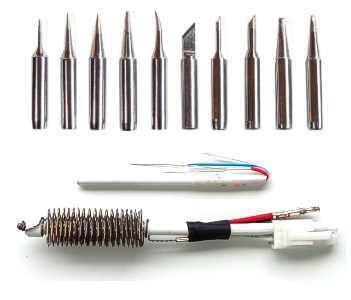 Ten soldering iron tips for fine SMD PCB soldering or rework.2. One hot air element for all 850,952,952A 110V rework station backup.3. One soldering iron element for backup.